For those of you itching to pound the pavement in search of the truth, look no further! Writer Paul Maybury (Aqua Leung, Marvel Strange Tales, Catalyst Comix), artist Sam Lotfi (Ash Vs. 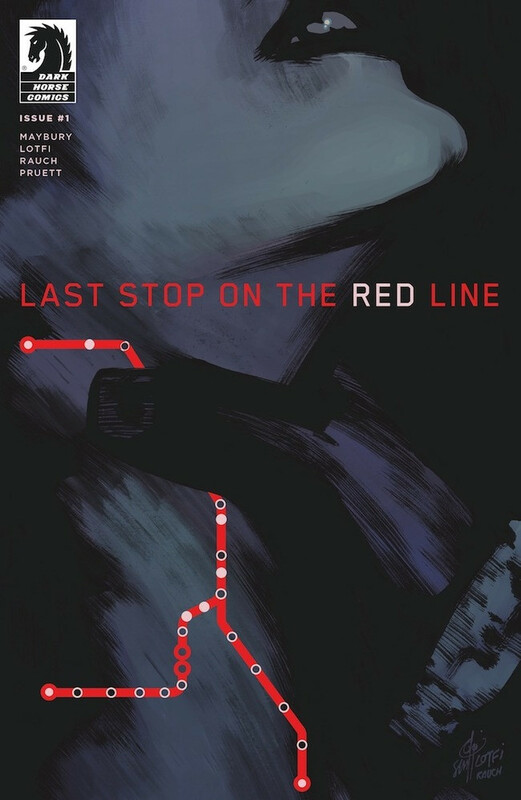 The Army Of Darkness, DC’s New Talent Showcase, TMNT), colorist John Rauch (Fear Agent, Thor) and letterer Adam Pruett (Moebius Library, Bloodshot Reborn) are bringing the answers to you in Last Stop on the Red Line.